My second ever mod character, brought back to be released! 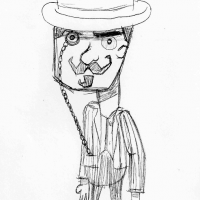 Also the inspiration for my now abandoned Wurbert character. Here's a video of an earlier version by the brilliant Jon from Jardev! 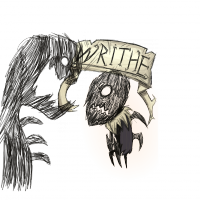 Writhe is one of the shadow creatures, but he was mentally challenged, and could never fit in. So the others bullied him, trying to kill him off. Maxwell pitied Writhe, and defended him best he could. As he grew weaker, his last option was to send Writhe out into the open world, as far away from the other shadows as possible. Writhe sees Maxwell as his farther figure. -Hunger = 180, and can only eat meat and nightmare fuel. -Sanity = 1, and constantly drains. -Can't equip any hand-slot items due to him having blades for arms. Instead he has the armguards listed below. +Walks 1.2 times normal speed. +Teleports a short distance when attacked. +Attacks deal more damage over time. Instead of attacking once, he jumps into the air and wildly slashes at enemies. While he does more damage, this can not be interrupted and leaves him vulnerable. He also does lots of damage unarmed. Daddy's Spare coat: The dapper coat Maxwell wears in adventure mode! While wearing it, Writhe will stop losing and gain sanity during the day, and the sanity loss during night is slowed by a lot. Sack of Helpful goods: A sack that spawns next to him when a new game starts. Gives 3 charcoal, 2 meat, and the Divine-O-Pones in adventure. Divine-O-Phones: Headphones he only gets in adventure mode. Not only do they tell you where the things are, you can also make them play music by right-clicking on them while they're equipped. Rather Plain Armguards: Works as a mining pick and axe. Mines at 20% speed and chops at 30%. Very slow! Swiss Arm-y Guards: Works as a mining pick, axe, and shovel. Mines at 30% speed and chops at 40% normal. Gives an extra 12 damage to your attacks. Still very slow. Requires science machine. Handy Man's Maces: Works as a mining pick, axe, shovel, and hammer. Mines at 70%, chops at 80%, and hammers at 60%. Gives and extra 24 damage, and also functions as a divining rod. Requires a repaired Pseudo Science Station to craft. So you need to go to the ruins! Flamey-Wamey Thingadoo: A long-lasting torch. Breaks after running out of fuel. You can also shoot fireballs at enemies to ignite them, but this uses a lot of fuel. Mole-Whacker Mollet: Acts as a very weak hammer. Can also be used to whack moleworms. and pick them up to make the rain hat. Only available with Reign of Giants. Sticky Snatchers: Act as a bugnet. Simple as that. Known issues: If you quit and rejoin a save while wearing the Divine-O-Phones, you have to take them off and put them back on for the music to work. NEW ENTRY TO WILLIAM'S BACKSTORY! Check out the Deviantart account I made of William for weekly updates on his backstory and concept arts of his upcoming/current/past inventions or appearances! There's also a picture of him when he was in his early 30s or so, so check it out to see William with a small beard - AND A FULL, LUSHIOUS HEAD OF HAIR! Click the link to check out plans for future updates and feel free to vote for the stats you want to see one of the future items have! Take a look at this Mod Spotlight by a swell chap named Jon, of Jardev! New update (Alchemy 4 Dummies) now out, adding many new crafting recipes! Robots are now much harder to craft but they've been made much stronger as well! I'll be doing a comic-kind-of-thing bout William's past. I'll also be adding more to his speech that'll hint to his background. New HD textures for Wil, and has a new, much higher quality piano voice (played horribly by yours truly )! See STATS for info about the Wrenches, Potions, robot, and William himself! Fixed the Blueprints dissappearing without summoning a robot when the player doesn't have enough gears! 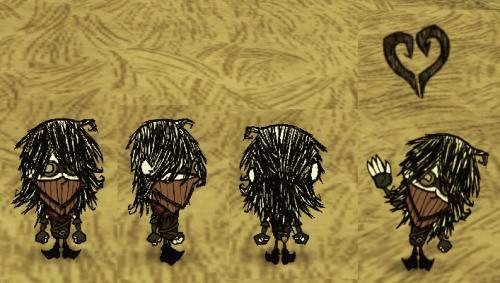 I love making mods for Don't Starve. Mostly just testing out all the possible perks, stats, etc. So, here's one of my personal favorites! William J. Danninghar was an inventor - much like Wilson. But his interests were more into robots and mechanical stuff. He now finds himself in a strange, unfamiliar place full of creatures beyond his wildest imaginings. -Slower than most characters by just a small bit. -Is weaker than most characters. +Very slow passive health regen. +Enters Nightmare Form when sanity is below 45. You need to craft mechanical what-not (a new item) and a shell for the specific robot to creat your robot. These pieces are found in the Refine tab! You can use a hammer or wrench to tell your companion to leave you alone and then feed them a carrot (seeds for reapers) or gears to heal them and make them follow you again! +Helps mind and chop trees. +Becomes Nightmare Butler when player's sanity is below 100. +Becomes Nightmare Brute when player's sanity is below 100. Craftabe under science. Requires Alchemy Engine. Can be used as mining pick. Craftable under Magic. Requires Prestihatilator. Regain 2.5 sanity on hit. Craftable under Magic. Requires Alchemy Engine. Instantly sets sanity to 0, activating William's Nightmare Form. Regains a large amount of sanity. Elemental Mixererer is required for the De-life-inator (gun) and the Heart of Phlogiston (sword) It can be found in Refine! The flintlock mechanism can be found in refine. Works like the meat effigy, but takes less health from William. The normal meat effigy will leave William at full health when built, this will leave him with much more. When resurrected, player starts off with less sanity and hunger than the Meat effigy. His speech is currently a slightly modified Wickerbottom speech. This will be changed further in time. Ever wanted to play one of those creatures that hunt you when you're insane? Now you can. Once a servant of them, but not anymore, Minari now joins the fun. As he was banished from the realm of shadows for being a renegade, he can't now walk through any obstacles so easily and will be attacked by his once-fellows nightmares if met. Yet, he is stronger than any other character and is well-suited for long walks across the wasteland. 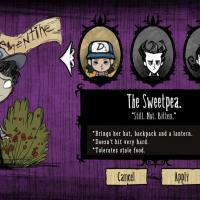 Clementine from Telltale's The Walking Dead Game arrives to the Don't Starve universe! If you like our mod please rate it! This mod is also not complete yet! Why? More episodes of The Walking Dead Game are coming and more quotes and maybe a new weapon will be added to her. Nothing is assured. ·Lantern: so she can travel at night or pick up resources. Living in the Walker apocalypse makes you less picky with food . Her sanity won't be as damaged when facing monsters. She's brave, smart and maybe even sassy, but even Clem has her flaws. You start with 115 health, less than the average, you can only survive 2 hits from a boss, tread carefully. Please enjoy and Have fun! We worked really hard on this so please, leave a comment and a like! This is a mod which adds in Shovel Knight as a playable character, and is being developed by BLsquared and Jade_KnightBlazer. Can only use his own armor. Craft Meal Tickets and Mana Potions to upgrade his Health and Sanity, respectively. Craft upgrades to the Shovelblade! 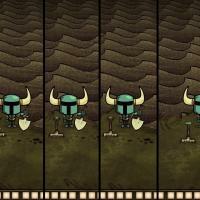 Craft new Armors and Relics that only Shovel Knight can use! Eat Turkey Dinners for an instant health and hunger refill! Currently WIP: The rest of his lines need to be finished, among a few large updates we realized we can do. Compatible with new DST update. Fixed crash when Client uses a Relic. Fixed the Ornate Plate crash. Special thanks to Yacht Club Games for creating the original "Shovel Knight" character this is based upon, as well as to Ryuushu on the forums for help! WARNING: This mod has a flashing cloak, if you have had a history of seizures DO NOT download this mod. You have been warned. This character is based on the indie game: "Dust: An Elysian Tail". This mod was done in my spare time so give me the errors (via screenshot) and ill see what I can do. Meet Dust the hero from falana after the events of his story (little spoilers), he wants to go back home to falana. 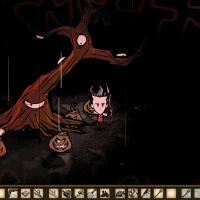 As dust you must survive the don't starve universe if you ever wants to return home. Most of Dust's quotes will have some reference to his experiences at falana and discover that food isn't preserved. During the beginning of the game he's incredibly vulnerable and won't last long in fights, so avoid conflict until proper armor is available. Dust comes with custom sound from Abadis forest and Sorrowing Meadows sound track from the game itself. Dust has never feared any foe big or small, and the same applies here. No sanity loss being next to most enemies. 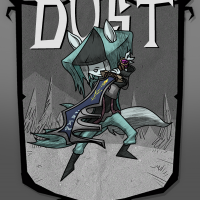 Dust's secret makes him an assassin class that rely's on hit and run. 33% extra damage on most weapons. Most Assassins were never meant to tank damage and rely on speed and the element of surprise. Explains the low health. Dust's robes keep him from freezing in the winter. Unfortunately his robes are flammable, 50% extra damage from fire. 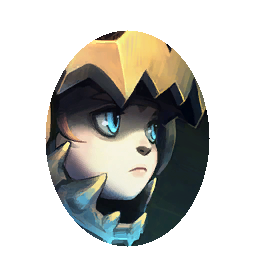 Dust's Satget- Provides a small sanity recovery rate and covers most of dust's face just like ingame. The Blade of Ahrah- The legendary Blade has joined Dust in his journey, Ahrah was created by the moonbloods to be unbreakable but without augments falls behind the dark sword's damage. The Blade of Ahrah augmented- Upgrade ahrah to match the power of the dark sword. By adding a large amount of gold to ahrah dust's speed is decreased by 10%. The robes of the mithrarin- Craft Dust's final tier armor that goes underneath his clothes just like in game. It provides a large amount of insulation that makes it a poor choice to use in the summer. The ring of sight- provides an unlimited fuel source like a lantern. The teleportation stone- similar to the teleport staff this stone doesn't cause lightning that leaves a burn on your world, not cause rain, doesn't drain sanity, and teleports directly to save points. The pendant of wisdom- A fragile defensive necklace that heals the wearer 2 health per 120 seconds, this pendant can also be combined with the robes to double its durability and raise its protection, making dust tankable. The battlemaster's pendant- A useful necklace that increases dust's damage output to 2x the damage instead of 1.33x and can be combined with the robes. Flameless/Cirelian light: Acts as a portable lantern giving light when dropped, makes nights more pleasant than staring at a campfire. Theres no difference between the two besides your preference of looks and materials to make them. Save point: Directs teleportation stones to it and resurrects dust when haunted/activated. Dust's house: cut content no further information needed. Magma mantle: Designed to withstand high temperatures and be fire resistant, this armor will reduce dust's flammability to 50% and keeps you cool in the summers. Blue mushroom: Heals poison in shipwrecked, works as a non perishable food item for other game types. All rights reserved to Dean Dodrill on this character, rights reserved to HyperDuck SoundWorks for dust's speech, credit to Deo Dragon Wolf leo for the template, credit to sw1tchbl4de for the artwork and credit to cheerio for the hat template. 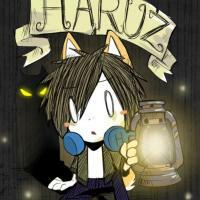 "I love Haruz as well as I love those fish!" Thank you [Dryicefox] and [Abatrozz] for helping! 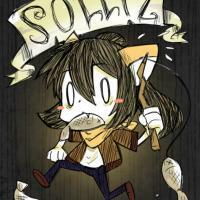 "The only thing that I don't scared ..is Sollyz"
Thank you [Abatrozz] for helping! Deep in the Marshs of this strange land lives a witch called Waverly. There are some mysteries about here you might want to lift. -A new form of a tree that is unique in the whole world and will only be spawned in Survival Mode. -A new character, Waverly, who is a close friend to said tree and needs to be unlocked first. -A new system of magic which will allow you to equip different spells to a wand. Resources for that have to be found first. 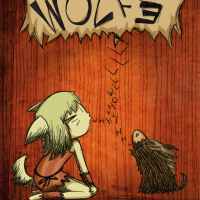 -A current total of 21 different spells ranging from aggressive to simply funny. Waverly is a subpar insane personality. She has basically no mutual interest with anyone else. Willow loves picking flowers, she hates it. Wilson really enjoys building new stuff, she hates. Woodie doesn't like to be around those old smelly petals, but Waverly feels rather good with them. And all of our firends hate all these monsters, spiders hissing in their strange ways, hounds barking like there was something to gain from it... but even though they all want to kill her, Waverly loves them... in her own way. Her love for spiders, hounds and merms grew so strong that she locked herself up in her basement for three straight days to do some "research". Today she is a proud owner of the only piece of wood that can summon creatures to her help, at a small expense of some health. And every now and then this lousy fellow Maxwell decides to put her 200 yards away from her doorstep and talk silly things... she's not impressed. Note: Due to the fact that ALL functionality of this mod is strongly dependent on worldgeneration it is not possible to experience it on an existing save without using the Console. Hi I would like to introduce mod that I make with Mr. Hastings - Not Quite Pyro. 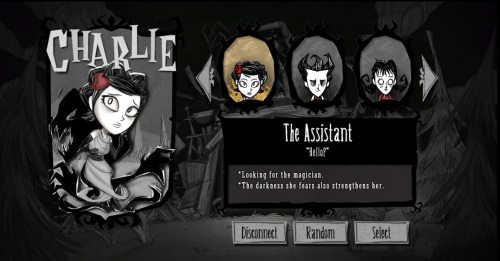 Mod adds to the Don't Starve a new character - Pyro It is of course modeled on TF2 character, but he's not identical. Lolichop: great and so sweet weapon. - Pyrovision - special trait allows him to see the world in its own way. Normal: Pyro speaks in complete sentences. 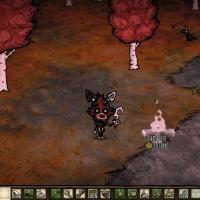 I have used graphics developed by Klei: large and small portrait of Pyro, map icon and weapon graphics. Q:Why Pyro don't talk "mmmmph and huddas"? A: He can say that from the update 1.2.2 (see configuration options). Q:Why Pyro can't wear armor? A: He can from the update 1.2.2 (see configuration options). Q: Why he has two „breathing filters” instead of one? Q:When Pryo will "shoot rainbows"? A:Probably never - I tried to enter, the effect was just ugly. A:Special trait allows him to see the world in its own way. Please read mod description carefully. Q:What Pyrovision changes in the game? A: Pyrovision changing the graphics objects in the game. However not affect their usefulness. Pyrovision work when the character has a lot of sanity points. Q:What exactly Pyrovision changes ? Q:Why Pyrovision don't change ground textures? Q:Is your mod only unlocks game content or add something new? A:The only things mod "unlocks" is a graphic pyro on the world map, graphic in the selection, sounds and item graphics: lolichop, fire axe and flare gun. All code and Pyro animation is my work. Graphics for match and pyrovision objects is Mr. Hastings work. Q:Please add more Pyro for Pyro. He is not like TF2!! A:Mod called “Not quite Pyro” right? So he will be just such a "not quite"
Q:When you add Balolonicorn Chester? A:His situation is not clear. Although I have finished texture Baloonicorn Chester, Pyro can't meet Chester now. So far i won't add Ballonicorn until I redefine Pyro's disadvantages. Was asked to post it on here from steam. Since this mod is close to almost being done, I figured why not. Since Foxy is in disrepair, he can easily die. He makes this up in speed and dealing lots of damage. He isn't afriad of the dark, and isn't a picky eater. He will start out with a hook, and patch, and is able to craft them. But beware of rain, Foxy will slowly take damage in rain. Foxy also slows down to wilsons speed in the winter, has a little bit of custom dialogue. -Foxy now has a withered form when his sanity is under 30. Withered form can glow in the dark. -Foxy's health is now increased to 90. -Foxy's lineart has been sharpened, and redone. A kind and trusting monster-kid with a troubled past. Update 11/28: Now with custom sound! Okay, here he finally is! After 4 very stressful days of trying to get this together and working, I can say it’s done. 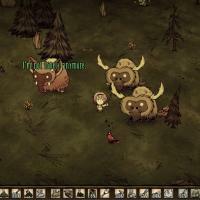 This here is a character mod for the Steam game, Don’t Starve Together. 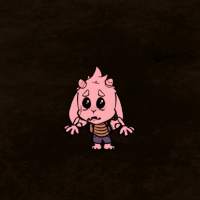 You can play as the lovable goatson as you do your best to not die of the cold! Over the course of the next week, I will be adding custom sound(which tbf is already done, just gotta figure out how to add it without crashing), a custom animation for death(i have him turning into Flowey instead of a ghost), and more! I worked really hard on this, and I know there are problems, so let me know what you think okay friends? Adds Weston to the list of playable characters. Weston is just a fun little character mod I thought of a while back, and wanted to see in the game. He was very close to being finished for the longest time, but I had to cease work on him due to certain circumstances (college work overload, Don't Starve deciding it doesn't want to run anymore, etc.). Since the quarter is finally over and Don't Starve is working again, I decided to finish him up and release him! + Weston is COMPLETELY immune to overheating! Enjoy those summers without sweltering! - Weston may like the heat, but he does NOT like fire. He takes a whopping 3x normal damage from fire, so stay away from it at all times! - Weston does not like the cold. Summers may be awesome, but winters will be brutal, because Weston freezes a lot faster than other characters. Watch out during the spring, as well--Don't let Weston get too wet, or he may start freezing. - The flower on top of Weston's head attracts insects (Mostly bees and butterflies). + A whole new character to play as (obviously). + A custom minimap icon! + (As of 1/6/2015) BRAND NEW TOTALLY-CUSTOM SPEECH SOUND! <> STOCKPILE! : Weston is a unique character in the sense that he is 100% immue to overheating. Use this to your advantage. You will have a terrible time in winter, but you get THREE WHOLE SEASONS to gather supplies! Use your time wisely. <> HUNT BUTTERFLIES! : That wasn't a joke. Weston has a unique quirk that no other character has at their disposal--being able to attract insects. Butterflies will come right to you when you're near, and you can swat them down for easy health and hunger points. <> AVOID KILLER BEES! : This may seem like something that's obvious, but killer bees are a very real threat to Weston, ESPECIALLY in the spring. The killer bees have a MUCH larger detection range now that they're attracted to your flower. They'll come to pollinate... But will stay to sting you silly. Supposedly, certain computers display black boxes as the player model instead of Weston's model, but I don't have any idea which computers this pertains to. These appear to be isolated incidents, and most of the time, the character should work normally. Weston was made with the Reign of Giants DLC in mind, thus he is perfectly compatible with it. Not only that, but he will work 100% with the regular game as well! Thank you all so much for supporting me and my mods. 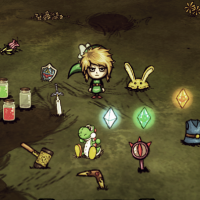 This is probably the last Don't Starve mod that I will be doing for a while, as there is a ton of other things going on right now in my life that need to be taken care of. 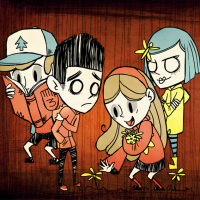 This probably won't be my last Don't Starve mod, but it will be a while before I do another, most likely. 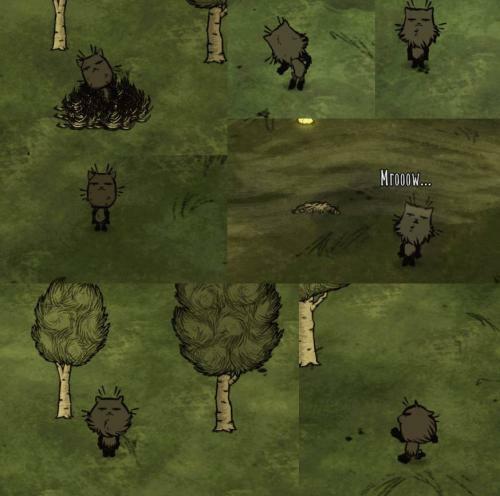 Once again, I'd like to thank Mr. Tiddles for help with coding, as well as basically the entire Don't Starve modding community. I couldn't have done this without their help. Thank you all, and have fun not starving! - Download the file and unzip it. 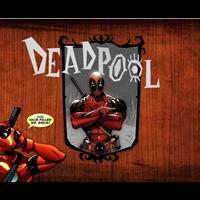 - Take the folder from the file you just unzipped and place it in the "mods" folder. Copyright 2014 Spookers the Spoo/Thunder Volts. This item is not authorized for posting on Steam, except under the Steam account named Thunder Volts (http://steamcommunity.com/id/thundervolts). Warning this mod uses strong language (bad words) and use of "alcohol", if you do not approve of this don't download and the saying goes "Get out of here stalker!". If not " I said come in don't stand there!". 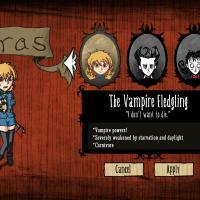 This mod was mainly made for dst since some the mechanics was made for dst by putting some challenge into cooperation. 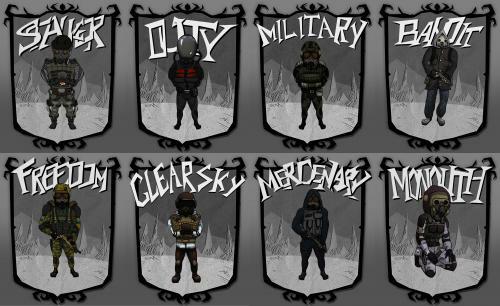 This mod contains twenty-four playable stalkers that come from different factions: Loners, Duty, Freedom, clearsky, bandits, military, mercenary, ecologist and Monolith.Most of which contain a suit that is REPAIRABLE by GOLD NUGGETS. You can start off as the new recruit for your choosen faction, or become the dreadnought of the faction known as the exoskeleton or just play as your favorite suit. Read on about each factions advantages and disadvantages and decide which faction you feel comfortable to play as. -Your rival Freedom drains your sanity at a good rate being next to each other due to different ideology and your war with them. +Fighting mutants is your speciality so you get 10% extra damage against pigmen, bunnymen, giants, and other monsters. -You fight for free access to the zone and conflict with the military and duty because of this. You lose sanity being next to military and duty. -Due to your stories told by stalkers about hostilility to all factions and your code to fight to the death, all nearby players will lose a lot of sanity being near you. This makes cooperation difficult without driving them mad. -Your tagged as a monster, making catcoons, pigmen, and bunnymen target you for your reputation. -You've attacked stalkers that tried to enter the zone, you're peers low morale gives you a bad reputation amongst the stalkers and thus most stalkers lose sanity being near you. On the bright side your previous dealing with duty has earned you neutrality towards them, after all most of their equipment comes from you. +Your unique suit was well designed and does the following: reduces building costs by 50%, 65% damage protection, medium rain protection and insulation that changes in the summers like the seva suits, 50% fire protection, and small sanity recovery. ~Your jacket inherits 25% damage protection and a small amount of winter insulation. The suit how ever gives 30% damage protection and stacks with armor you wear over it. -You're a thinker not a fighter, -20% damage and larger sanity pool. +No radiation damage, you've had your fair share of artifact handling and research to find out how to by pass the radiation. +You're neutral to most stalkers making it easy to cooperate with them. +You can recruit most neutral stalkers besides clearsky companions. +75% negative and night sanity drain, your exmilitary after all. +gain sanity through killing enemies, the larger the kill the more sanity restored. -lose sanity from: getting hit and miss hitting your target. NOTE: Your suits can be destroyed and isn't replaceable thus keep your suits repaired at all times! Do you have no friends loner? Then download the stalker loner edition today you AI buddies will follow you indefinitely and help out with combat, get out of sticky situations and follow you down in to the caves. The weapons and ammo is now available to purchase in the shop tab while standing next to the alchemy machine just know guns aren't cheap, same goes for the ammo. Updates: just bug fixes and such. Refer to the discussion threads for more info about the mod. With all perks laid out will you cooperate with your rivals? Even though you'll be driving each other insane! Or will your ideologies and differences get the best of you? You can configure this mod at the beginning to disable any of the factions you don't want available in your game and keep the ones you do want. 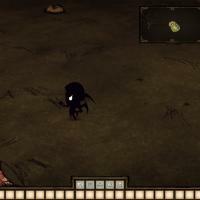 Will this mod be made for don't starve? Go check out the port it should work for the most part. Download stalker1 and stalker2 (same goes for loneredition(1-2)) and extract both of them. Place the anim file (from stalker2) into the stalker folder (from stalker1) and your set. Special thanks to a Dragon wolf leo for the repairable armour and more, sw1tchbl4de once again for the artwork, Mindmaster for ai experimentation, youtuber ZoranAustralia(For Užičko Kolo video) for the bandit voice, and GSC game world for the character and their music that was used for their voices.